Brain, Simon and The Defender are the latest team to join the ranks of The Wrestle Zone, but now face their biggest challenge yet - the reposession of their home! 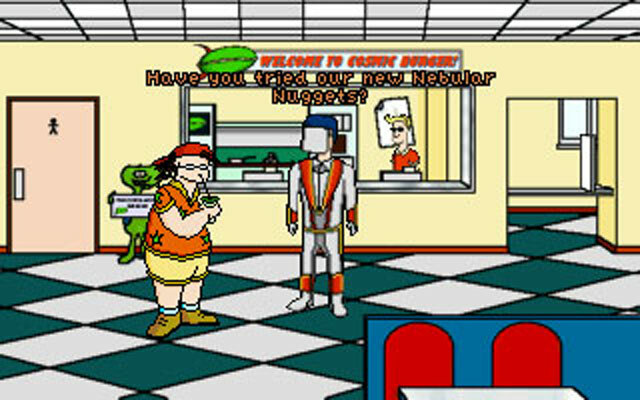 Experience the highs and lows of pro-wrestling: buff up in the gym, take on rivals in the ring, and work part time in dodgy fast-food chains as you guide each of the three heroes through their exciting and funny first outing. ● "Da New Guys is a total classic. Incredibly playable with a great game length, puzzles that are challenging without being frustrating and some of the most likable characters I've yet discovered in an AGS game. I can't wait for a sequel." ● "This game manages to be freakin' hillarious without stooping to the lame crude humor we see so often around here." ● "It's a must play for anyone who likes entertaining puzzles, awesome tongue-in-cheek plot and endless funny jokes.